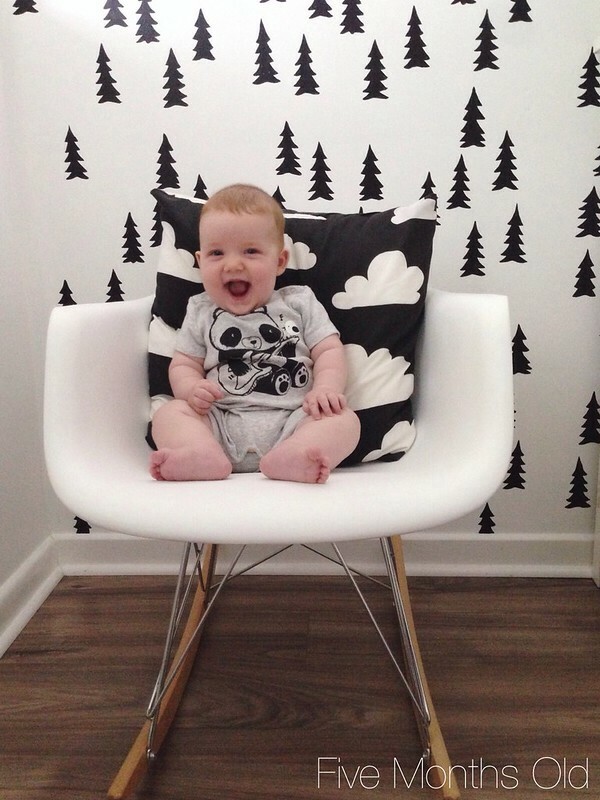 The A & B Stories: Sawyer - Five Months! Oh Sawyer. You're the sweetest little ginger baby in the world. So teething has begun around here, and this little guy is such a trooper! He has some fussy days but overall he's a tough little thing. Still sleeping great, still being adorable. We just love him!!! He also couldn't be any chubbier. Seriously, the thigh rolls are ridic. Oh I love this chubby wee face!